select *, DATE_FORMAT(birthday, "%b %e, %Y") as _birthday, DATE_FORMAT(died, "%b %e, %Y") as _died, MONTH(birthday) as month_birth, DAY(birthday) as day_birth, DATE_FORMAT(birthday, "%b %e") as _birth_day_month from agatti_people where agatti_people.u_name = "richard-burton"
Shares birthday with Claude Rains, Mabel Normand, Esther Dale see more.. Legendary actor, Richard Burton, was born Richard Walter Jenkins on Nov 10, 1925 in Pontrhydyfen, UK. 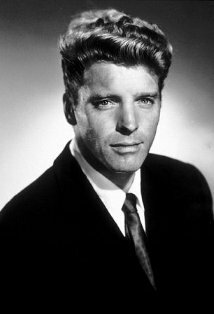 Burton died at the age of 58 on Aug 5, 1984 in Céligny, Switzerland and was laid to rest in Vieux Cemetery in Celigny Geneve Canton, Switzerland. Richard Burton was born Richard Walter Jenkins, Jr. on November 10, 1925. He was born into large working class family in the small Welsh village of Pontrhydyfen and was the twelfth of thirteenth children. His father, Richard Walter Jenkins Sr., worked as a coal miner and had a strong propensity for alcohol. Naturally it makes since that Richard Jr.'s mother, Edith, was a bartender. Before the young Jenkins' third birthday his mother died not long after giving birth and soon after his father all but abandoned the family, making only the occasional visit to see his children. Young Richard then moved in with his older sister Cecilia, or "Cis" as he affectingly called her and her husband Elfed. Richard was particularly precocious child, proving himself to be an exceptionally bright. While attending Eastern Primary School his family fostered his strong love of Welsh and English poetry, helping him to develop strong rhetoric skills. Outside of academics, Richard was a competitive athlete. He played tennis, table tennis, and cricket but his favorite physical activity was rugby. If it wasn't for his talents as an actor, he very well may have become a professional rugby player. After Jenkins Jr. passed his scholarship exam he was admitted to Port Talbot Secondary School and was the first in his family to attend secondary school. Although Richard clearly possessed a great potential as a singer, his voice was rough and undisciplined. The young pupil was quickly taken under the wing of the school's headmaster, Philip Burton. Burton helped Richard develop his voice and sparked his interest in the theatre. At the age of 16, Richard made the difficult decision to leave school because Elfed, his sister's husband, could no longer work and support the family. After leaving school, Burton followed in the footsteps of his father and for a short time worked in the coal mines. After toiling in the underground he eventually joined the war effort and enlisted with Port Talbot Squadron 499 of the Air Training Corps section of the Royal Air Force (RAF). By beautiful happenstance, the young cadet was reunited with Philip Burton who was a squadron commander at the time. Philip then helped Richard get a role on the BBC radio play Youth at Helm in 1942. With help from Philip, Richard was readmitted into Port Talbot Secondary School were he continued to develop his acting chops. In 1943 passed the School Certificate Exam. He was able to attend Exeter College, Oxford thanks to a six-month scholarship program offered by the RAF. During this time, Philip wanted adopt Richard Jenkins Jr, but was too young to do so legally. So, instead of becoming Richard's state sanctioned father, Philip became his legal ward with Richard legally changing his last name from Jenkins to Burton and thus becoming Richard Burton. During his short time at Exeter, Burton was cast as the lead in Pygmalion. His performance caught the eye of playwright, Emlyn Williams, who cast the student in his play, The Druid's Rest, marking Burton's professional stage debut. After completing his six-month scholarship at Oxford, he returned to the Royal Air Force to take his classification examinations. Poor eyesight kept the young Burton from becoming a pilot and spent his three years in service as a navigator. He was officially discharged from the RAF in late 1947. After leaving the Air Force, Burton moved to London to continue his acting career. 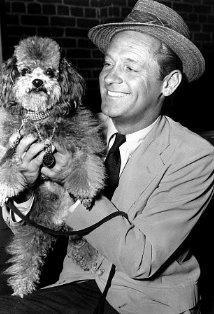 In 1948 he snagged a small role in the drama Castle Anna. The next year Burton was cast in the John Gielgud's The Lady's Not for Burning. Gielgud was initially weary of casting the young actor and forced Burton to go through multiple auditions before awarding him the role. 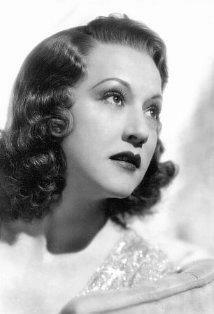 The play opened in May of 1949 to stellar reviews and remained on the West End for over a year. By 1951 the play was on Broadway. That same year Burton was awarded the Theatre World Award for his performance. During this time Burton was also making a name for himself in the world of British film. In the middle of production for his film The Last Days of Dolwyn, Burton was once again contacted by Emlyn Williams, who wanted Burton for the role of Gareth, who he had written specially for Burton. After a successful screen test Burton traded in the footlights for the sound stage and made his screen debut in The Last Days of Dolwyn. During production, Burton met his first wife, Sybil Williams, whom he would marry in early 1949. Despite the films lackluster box-office returns, the film was received well by critics with Burton in particular getting his fair share of rave reviews. He then signed on with Producer Alexander Korda and spent the late 1940s and into the early 1950s developing his talents for film in pictures like Now Barabbas, Waterfront Women, and Her Paneled Door. In early 1950s Burton continued to make a name for himself on the stage with plays such as The Boy with A Cart, A Phoenix Too Frequent and a myriad Shakespeare productions. Some critics went as far as to declare Burton the "next Laurence Olivier." Like Olivier, Burton wished to expand his recognition beyond the English stage and crossed the pond to give Hollywood a shot. 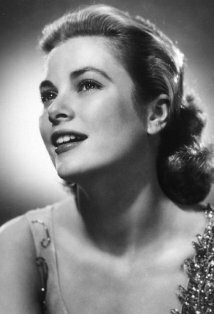 He was loaned to 20th Century Fox for a three-film deal in 1952, making his Hollywood debut opposite Olivia de Havilland in My Cousin Rachel. The film was a modest hit with Burton managing to steal the show. The film would give Burton his first Academy Award nomination for Best Supporting Actor, losing to Anthony Quinn. His follow up film was the forgettable war drama The Desert Rats. 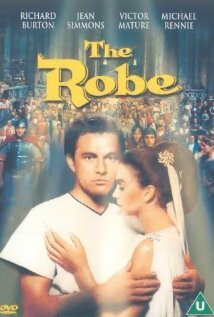 In 1953 he went to star in the biblical epic, The Robe. The five million dollar production went on to gross over sixteen million dollars at the box and once again gave Burton another Academy Award nomination, this time for Best Actor. Thanks to his success in The Robe, Burton was offered a seven-year, 1-million dollar contract at with 20th Century Fox. Burton accepted the deal under the conditions that it not begin until his run at The Old Vic theatre ended and that he would still have the freedom to act on the stage. 20th Century Fox agreed and in 1953, Burton returned to England and began his yearlong tenure at The Old Vic, starting with the titular role of Hamlet. For the rest of decade Burton divided his time between the stage and film. Although Burton had high hopes for film such The Rains of Ranchipur and Alexander the Great, both were met with little fanfare. Despite his big screen failures, Burton remained something of a phenomenon on the stage. He returned to the Old Vic to star in Henry V and was met with glowing reviews. In 1956 he followed that with a triumphant performance in Othello, in which he would alternate between Iago and Othello. In the late 1950s, British film was beginning to reinvent itself with a movement now referred to as the British New Wave. 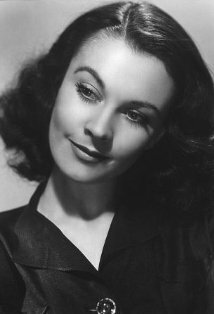 In 1959 he starred opposite his frequent stage co-star, Claire Bloom, in the drama A Look Back in Anger. Although the film garnered good reviews, everyone, including Burton himself, agreed he was too old to play a convincing 25 year old. In 1960 he was instrumental in producing the Broadway hit Camelot, starring opposite Julie Andrews. Although initially slow to catch on, the play eventually became one of Broadway's most memorable productions with a run of three years. For his work, Burton went on to win the Best Musical Tony Award. 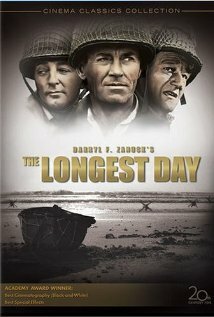 In 1962 he appeared in the star studded warm film The Longest Day, with a cast includes John Wayne, Henry Fonda, Robert Mitchum and Sean Connery. In 1961 Burton began work on the film that, for better or worse, would shape his career and legacy: Cleopatra. Production was quickly plagued with an abundance of problems that ranged from inflated budget to mismanagement of resources and, of course, the notorious affair that began between Burton and his co-star Elizabeth Taylor. Although the two were married to other people at the time of production, Burton and Taylor fell madly in love and began a tumultuous relationship that would be splattered across tabloid covers for years to come. The film itself was released to mixed reviews. With over 25-million dollars in box-office sales, the film became the highest grossing of all time. However, the film itself cost over 40 million dollars to make and nearly resulted in Fox going bankrupt. After the release of Cleopatra, Taylor and Burton married in 1964. They would be come the first "tabloid couple" with their passionate and sometimes destructive romance plastered on rag magazines across grocery store check-out counters. Over the next decade the couple would star in 11 films together, some with better results than others. Films like The V.I.Ps, The Sandpiper and The Taming of the Shrew were met far more success than flops such as The Comedians and Boom!. Their greatest success was the 1967 silver screen adaptation of the Edward Albee play Who's Afraid of Virginia Woolf. Perhaps hitting a bit too close to home, the film chronicles the alcohol-tinged breakdown of a middle-aged couples marriage. The film was box-office and critical hit with many praising Burton and Taylor for the raw emotion that leapt off the screen. The pair both received academy award nominations for their work, with only Taylor taking home the little golden statue. Outside of his work with Taylor, Burton was making a reputation for himself as one of the finest actors in town. In 1964 he starred opposite Peter O'Toole in the big screen adaption of Becket. The film was a critical darling and Burton was nominated for his third Academy Award, this time for Best Actor. The next year he worked with Claire Bloom again, this time in the cold war thriller The Spy Who Came in from the Cold, a role which gave him yet another Oscar nomination. With his 1966 Best Actor nomination for his role in Who's Afraid of Virginia Woolf would give him his fifth nomination. By the time of his death in 1984, he received 7 Academy Award nominations. The only actor to be nominated more times without winning is Peter O'Toole, who was nominated for eight. During their marriage, both Burton and Taylor drank heavily. At Burton's peak he was said to have drunk three to four bottles of hard liquor a day. Their alcoholism in combination with their strong and combinative personalities created a heated and often volatile relationship. After a decade long romance with the tabloids, the pair announced their divorced in 1974. They remained in 1975 but their second union would only 16 months. By this time Burton's career was also in decline. He last few films with Taylor were a bust and his extreme alcoholism made him an unreliable hire. In the mid-1970s he starred in a sting of mediocre films like The Klansman, Jackpot, and Exorcist II: The Heretic. In 1977 Burton did enjoy a hit, starring in the adaption of the stage hit Equus. It was the film that would give Burton his final Academy Award nomination. Burton continued to act into the 1980s with mediocre materials such as The Medusa Touch, Breakthrough and Lovespell. By this time his heavy drinking had taken a massive toll on his health. He almost drank himself to 1974 and by 1981 he suffered from cirrhosis of the liver and kidney disease. His final role came in 1984 with the aptly titled Nineteen Eighty-Four. The film was adaption of George Owell's famous dystopian novel in which he played the cold and menacing party member O'Brien. Richard Burton died on August 5th, 1984. He was 58 years old. Although Burton was nominated for seven Oscars, he never won a competitive Academy Award. Burton was inducted into the Theater Hall of Fame . Helena Charles: Sorry he's gone. Jimmy Porter: So am I. He's sloppy and irritating but he's got a good heart, you can forgive someone almost anything for that. 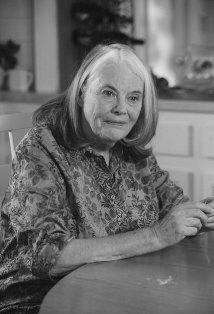 Helena Charles: I love you. Jimmy Porter: Perhaps you do, perhaps it means something to have your General lie back in your arms though he's heartily sick of the whole campaign. Tired, hungry and dry. King Henry VIII: I never married Katherine - England married Spain! While playing Dr. Dysart in "Equus" on Broadway in 1976, Burton was so impressed by co-star Peter Firth that he offered to play the Friar with Firth as Romeo. Firth did play Romeo on stage, but Burton was not cast. Was a great fan of baseball, which he followed avidly when he was in America. Burton thought Pulitzer Prize-winning baseball columnist Red Smith was a brilliant writer. Burton played softball with a team from the Broadway theatre in the 1980s, despite crippling bursitis in his shoulder. 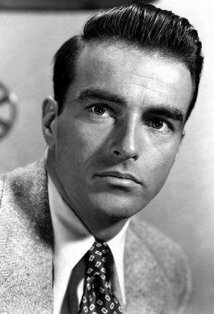 After his second wife Elizabeth Taylor's close friend Montgomery Clift died before shooting began on Reflections in a Golden Eye (1967), Burton briefly considered taking over the vacated role of the closeted homosexual Major Weldon Penderton that had been slated for Montgomery Clift. Though Burton would later play homosexual parts in Staircase (1969) and Villain (1971), it was thought that he would not be a good fit for the role of an American soldier. 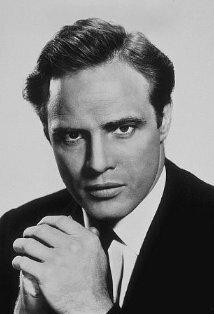 The part subsequently went to Marlon Brando, who gave what critics now believe was one of his greatest performances. Marlon Brando and Elizabeth Taylor became friends, giving Burton a chance to socialize with America's greatest actor.